Just reduced lowest price home for the area. 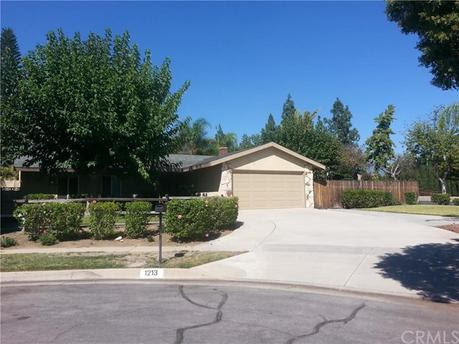 Back on the market..North upland single story rv home in a culdesac. Beautiful custom door entrance. This home has vaulted ceilings. This home has an open floor plan with an inviting living room with a rock fireplace and beautiful mantle. This home has cherry cabinets with granite countertop and stainless steel frigadare appliances. This kitchen has tile flooring throughout. This home has all new double pane windows throughout. Also the bathrooms have custom wooden vanities with granite countertops. Bathrooms have newer tile flooring. Masterbedroom is very spacious. This home has a very large private yard with no neighbors on one side. It has a private space for the rv to be parked. Hurry this home will not last.This home as a bonus comes with a custom storage shed that matches the house. Equal Housing Lender. BankerBroker Mortgage & Real Estate is a California Corporation in affiliation with LeaderOne Financial - NMLS 1240395 This is not an offer to enter into a rate lock agreement. All Details subject to full underwriting.